The Southern Maryland Audubon Society has a long history of raising funds in order to award scholarships to local educators, allowing them to attend environmental education programs. 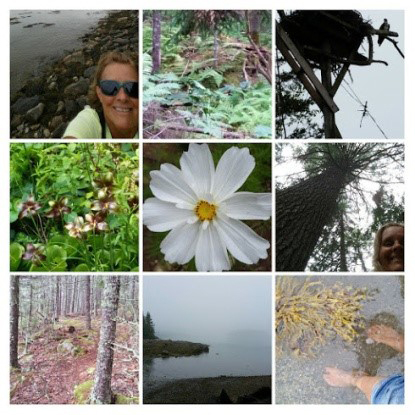 Since 1936, the Audubon Camp in Maine has offered environmental education programs for adults, teens, families and conservation leaders on Hog Island in Muscongus Bay, Maine. Southern Maryland educators can find information here to apply for Field Ornithology or Sharing Nature: An Educators week. 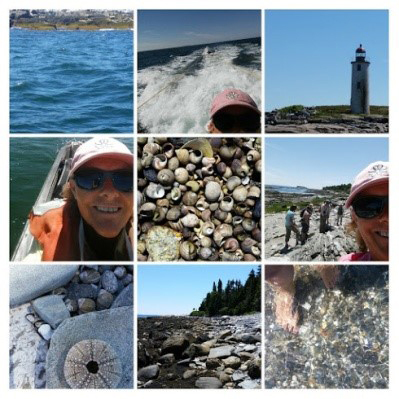 Field Ornithology includes excursions to both mainland and coastal habitats, including offshore islands, windswept blueberry barrens, lush grasslands, and sphagnum bog forests (sensitive puffin-nesting islands will be observed by boat). Immerse yourself in a week of all things avian, from bird biology to nesting behavior, songs, migration and conservation. Learn in small-group settings about field identification. Add some of the most respected bird experts in the country, and you have Field Ornithology on Hog Island. You’ll learn in the woods and on the water – experiencing the dawn chorus with experts in bird song at your side; landing on seabird nesting islands to observe nesting behavior at arm’s-length; discussing coloniality in the midst of a raucous heronry. You’ll come home with amazing memories – and a solid understanding of bird biology and ecology. In Sharing Nature, educators will learn practical approaches and add inspiration to their environmental education curriculum during this action-packed program. Our experienced and enthusiastic instructors share their favorite approaches, methods, and activities for engaging both children and adults with nature. 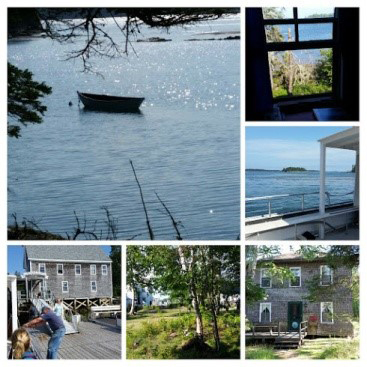 Workshops using techniques in art, music, theater, journaling, and other disciplines will be presented, as well as a host of classic Audubon Camp field trips, including a boat trip to the restored Atlantic Puffin and Tern colony on Eastern Egg Rock, intertidal explorations, and hiking through Hog Island’s unspoiled spruce-fir forest. These experiences provide a wonderful opportunity to be learning outside in a beautiful setting, while also considering how you can take back some of these insights and methods to your students back home. I could never have imagined all that this experience would be; the beautiful location, the amazing instructors and all the wonderful participants. It was a chance to be around like-minded people, sharing our work, our ideas, and our passion for what we do. Throughout the five days, several sessions were offered each day, covering a variety of topics. A few of the sessions I attended included improving photography skills in nature, educational resources, geology, long hikes through multiple and diverse ecosystems, stream studies, journal making, and astronomy. And of course, I loved Egg Island and learning about the Puffin Project! Each evening, we had speakers sharing their passion and knowledge for the environment and conservation. They provided opportunities for organized group dialogue to share ideas and resources. There was time to journal, network with others, or find solitary places to reflect on what we do as environmental instructors and advocates. The island is beautiful, with hammocks and chairs scattered about, miles of trails to explore and beaches to look for treasures. My experiences on Hog Island gave me the opportunity to spend quiet time reflecting, enjoy the scenery, hike, take photos, read through notes from the sessions, and evaluate my personal work. I enjoyed sunsets, finding treasures along the beach, taking in deep breaths, and even the rain! With a renewed enthusiasm and a journal full of new ideas, I am looking forward to sharing this experience with my co-workers at The Elms Environmental Education Center. As we prepare for the new school year, it will be exciting to bring some of Hog Island to our program. 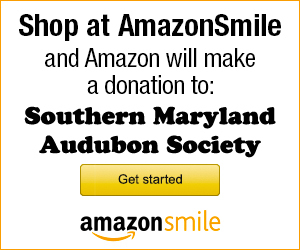 I want to express my appreciation to the Southern Maryland Audubon Society for this opportunity. This was an experience that cannot be duplicated. There is something special about Hog Island and all that it represents; an appreciation for the environment and those who wish to protect it. I hope to go back, and learn more about educational resources, take time to reflect about my place in this world, and relax among the beauty that is Hog Island.